2 meetings were held. A potential new member was discussed. He lives in Ireland! Getting the Camp membership dues back on track was discussed, as was a filing issue with the IRS. Greg offered to seek advisement on filling out the IRS form. At the Feb. meeting were Chris, Greg, Ron, Bugs, and Joe. At the Mar. meeting were Chris, Greg, Bugs, and Joe. A second grant was announced for our Allegheny Cemetery Memorial project. Present: Chris, Greg, Bugs, and Joe. 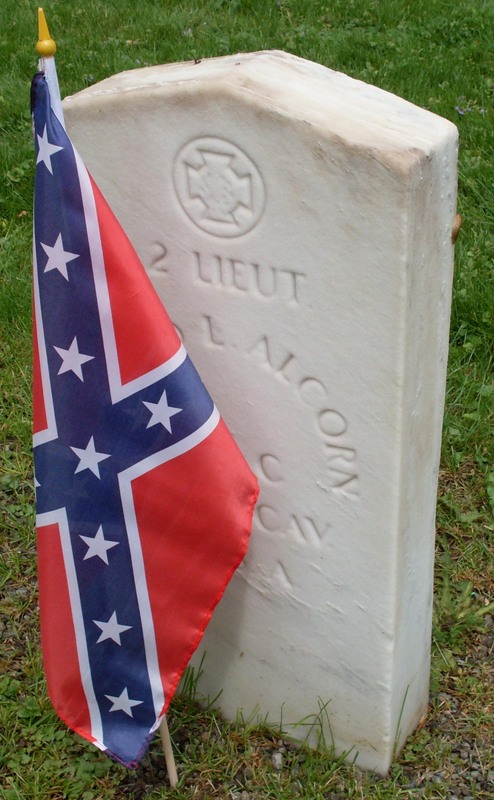 19 May 2013 - Confederate Memorial Day was celebrated at Allegheny Cemetery. The event was small and brief. Even if the world has forgotten these men, Camp 1960 has not. Further discussions were had on our memorial. Also, a third Hunley award was agreed to be given. (A fourth is possible.) Chris, Bugs, and Joe were present. Furhter discussions were had about the memorial at Allegheny Cemetery. Plans were made to submit our design to the cemetery. Bugs, Greg, Chris, and Joe were present. A 2 hour rain storm essentially ruined the entire Doo Dah Days event. It was very poorly attended. Only Joe attended from the SCV, although the Voices of the Confederacy was also there. Overall, the day was a great disappointment. The latest in our attempts to mark the graves of Confederate soldiers in Allegheny Cemetery was discussed. A smaller marker may be our only option. Chris, Ron, Bugs, and Joe were present. 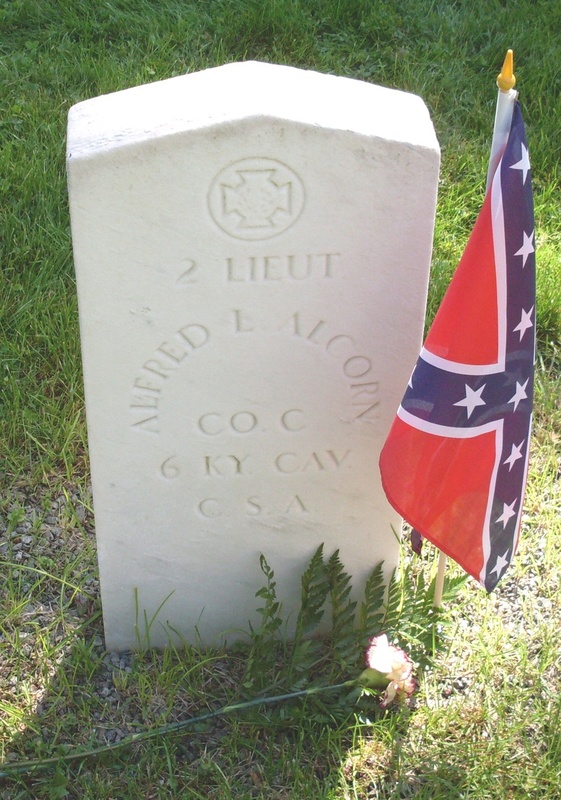 Flags and flowers were placed on the graves of the eight marked Confederate soldiers and citizen prisoners who are buried in Allegheny Cemetery. The flower was a white carnation. Chris and Joe were in attendance. Afterwards, a flag was also placed on the grave of Major Gray in Sewickley. It was our honor to do this today. The H. L. Hunley Award was presented to Cadet Greg Cass at McDowell High School in Erie , PA on 9 May 2012. He is a member of a thriving Air Force JROTC program at the high school. He was presented a certificate and medal, along with a $50 gift. It was our honor and pleasure to be present at the event! Thanks to CMSgt David Holmes and all of the hard-working cadets.